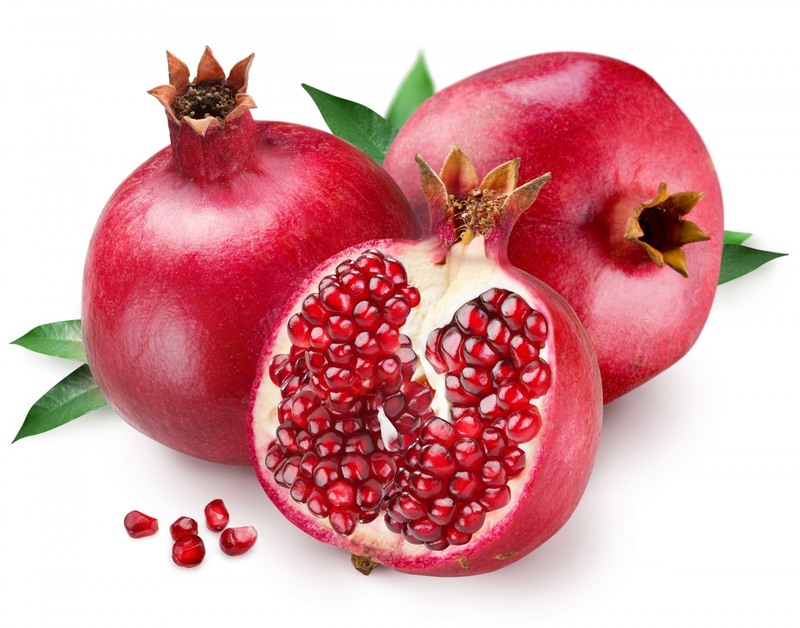 In vegetarian diet, when we take the name of Iron; the first supplement which comes to our mind is “Pomegranate fruit”. As other iron supplements, this very fruit has also the taste of ferrous in it. We all love to have juicy and pulpy fruits, in addition all of them are rich in certain health benefits and enriched with medicinal properties. Here, we will be talking about pomegranate fruit in a descriptive manner; its nomenclature, uses, benefits, healing properties etc. 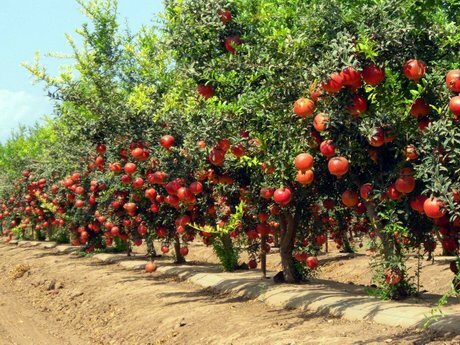 Pomegranate trees are grown all over India; whereas in western Himalayas, Suleman hills Iran and Afghanistan it is naturally grown. The tree is approximately 10-15 ft tall with smooth bark which is dark brown in colour. Leaves are 1/4 inch wide and taper at the ends. It bears flowers which is orange, blood-red and yellowish in colour. It gradually matures into fruit which is round with shiny peel. Plant bears flowers during April-May and develops into fruit in July-October. Inside, fruit is divided into multiple sections containing multi-cornered seeds. Seeds can be dark red, pink or white in colour. Pomegranate belongs to kingdom Plantae and ‘Lythraceae’ family. 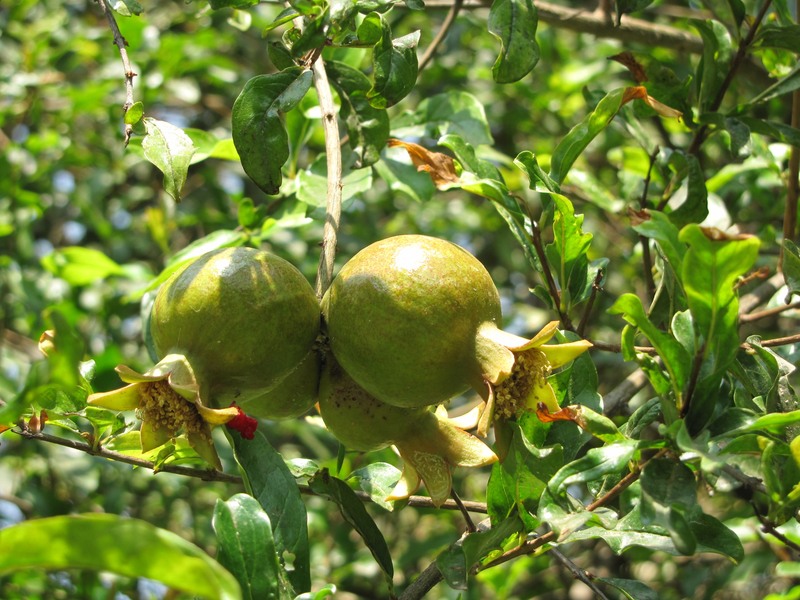 Its binomial name is “Punica granatum”. In Hindi terms, it is also called ‘Anar’ or ‘Bedana’. 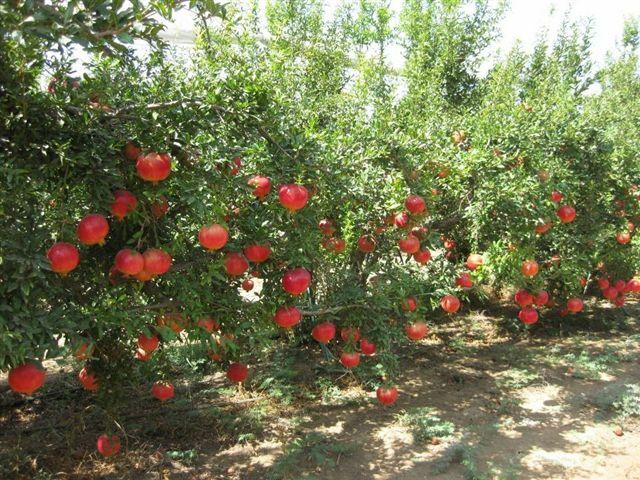 According to the taste, there are three types of Pomegranate; Indian Pomegranate is sweet and sour; those from Kabul and Kandhar are sweet; one of the best variety is found in Kabul which is seedless, very juicy and sweet. The skin of fruit has 28% of tannic acid and a yellow pigment or Peet ranjak chemical. The stem and root contain alkali with the main constituent as palitiarin. Pomegranate is rich in dietary fibres, Vitamin B1, B2, B3, B5, B6, B9, C, E, K, choline, iron, zinc, sodium, calcium and many other trace metals. Pomegranate fruit has multiple uses in different cuisines. Firstly, it is well-known for its juice. Thick red juice is highly beneficial for a healthy body. Pomegranate cakes, pies, ice creams, uses as a decorating item, salad dressing, Persian soup etc. 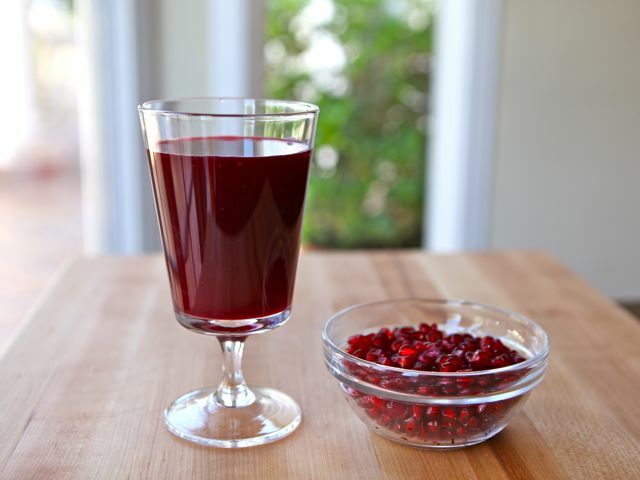 Anar dana; a kind of mouth-freshener or antacid item is prepared using pomegranate. It tastes sour-sweet and tangy which has a very interesting taste and helps to cure acidity. The peel of pomegranate is used to prepare natural colour too. During summers, nasal bleeding is very common among all. Pomegranate works really well in this. 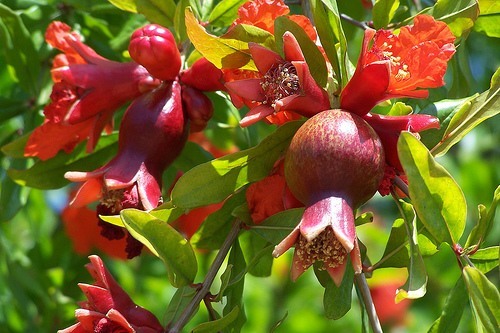 Pomegranate bud acts as an analgesic and cures pain. When a few of these buds are put in nose and inhaled the fragrance; it is helpful to cure nasal bleeding. Prepare a paste of pomegranate peel; apply this paste on nose. This cures swelling am when the dry powder is given to be inhaled it cures nasal bleeding. Take 20 gm of fresh pomegranate leaves and boil in half litre of water; when the water is reduced to 100 ml; mix with warm milk and give it to the patient. It is very helpful in curing mental fatigue and tiredness. Prepare paste of 5-6 pomegranate leaves with water and apply this paste on eyes twice a day. You can also place wet leaves on eyes; it cures painful eyes and eye swelling. Take an extract of 8-10 fresh pomegranate leaves and let it dry; sieve it. Using an eye-liner, apply this powder on eyes twice a day. It helps in curing all kinds of eye flu’s and problems in inner eyes. Take dried flowers of pomegranate and rose plant. Grind them and use the powder in brushing. It cures bleeding gums and foul smell too. Decoction of pomegranate root can be used to gargle; the trace metals present in it cures disorders related mouth and gums. Brush the teeth with powder of sweet pomegranate leaves. It prevents in loosening and weakening of tooth, rotten gums, bleeding gums, halitosis etc. Take the extract of fresh pomegranate leaves and mix pulp of 100 gm leaves i it along with 1/2 kg mustard oil. Cook this oil and after getting cool apply this oil on head. It cures hair baldness and controls hair fall. Take 10 gm pomegranate leaves and grind with 100 ml water. Strain the solution and give this to the patient twice a day. It maintains the heart beat. On a regular basis, give 20-25 ml of pomegranate squash everyday; the iron present in it strengthens the cardiac muscles and cures all kinds of heart diseases. Take 250 ml of pomegranate juice and mix with 750 gm sugar and prepare a thick syrup. Give this to the patient twice or thrice a day. Take shade dried pomegranate leaves and grind to make a fine powder; give 6 gm of this powder in the morning with buttermilk. It is very helpful to cure liver problems and jaundice naturally. Take 6 gm green pomegranate leaves; grind in 20 ml of water and then strain the solution. Add 20 gm sugar syrup to it. Give this mixture to the patient at the interval of every 1 hour. This helps to control vomiting. 10-15 ml of sour pomegranate juice regularly given helps to cure cholera. Pomegranate is a miraculous fruit with numerous benefits. This reddish ball-kind of fruit is a healing herb. Everyone should be aware of its healing properties so that everyone can gain benefits from this miraculous herb. Our mother nature is filled with miracles; take care and live well!